We entered by only relying on CTM to tell us which source the caller is calling from. Now, we rely on CTM to fully run our entire call center operations. From a local leader, to a nationwide brand. Founded in 1945, Long® Fence and Home is a leader in the commercial and residential fence industry. Their highest priority is to serve all of their customers – from government agents and municipalities, to corporations and residential homeowners – with courtesy, and expertise. They’re constantly always working to improve their standards and service to meet today’s challenges, while remaining dedicated to providing superior products and performance. With their company quickly becoming a household name, Long® Fence and Home knew they needed to source technology that could supplement their growth. That’s when they turned to CallTrackingMetrics. Long® Fence and Home makes the switch to digital. Long® Fence and Home was using hard-lined, physical phones, connected to a proprietary calling software that had been built for them years ago. Those physical phones were also connected to a call tracking service, which simply rented tracking numbers and never once developed their software in the decade that Long® Fence and Home used them. Over the years, the industry had progressed in technology… while their business did not. “It was a rather manual process,” said Sami Badra, Marketing and Call Center Manager at Long® Fence and Home. After spending the past ten years renting their business phone numbers from the call tracking service, Long® Fence and Home was initially attracted to CallTrackingMetrics after learning they could own and keep their tracking numbers. They were also interested in the in-depth, granular data produced by CTM’s reporting and analysis tools. CallTrackingMetrics: more than just call tracking. After getting started in the platform, they discovered many more features that could revolutionize the way they ran their organization. In fact, they realized that with CTM, they could not only clear out all those clunky desk phones, but also replace multiple software vendors. They’re now operating, managing, and analyzing their conversations, all within one highly functional platform. Today, their entire call center operations run fully within the CTM platform, now built with cloud infrastructure rather than cables and cords. Thanks to their new streamlined communications, the productivity of their call center has improved considerably, resulting in a stunning conversion rate increase – from 30%, to 49%! 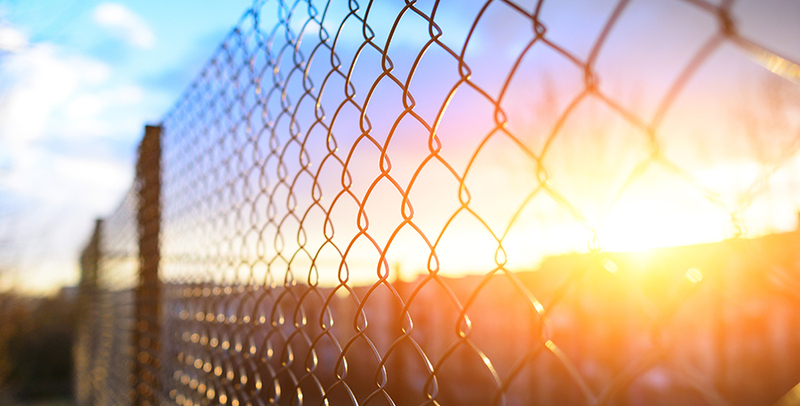 Although they’re thrilled with their new cloud contact center, Long® Fence and Home still uses the call tracking and attribution features they initially sought from CallTrackingMetrics. Understanding the raw volume from CTM allows them to better spend and track their customer’s experience, as well as the RCA of that interaction. In fact, while maintaining marketing spend, they’ve actually increased revenue 10% YoY! Any advice for organizations still using hardware? For a national company, making the switch from hardwired telecom technology to cloud infrastructure can be an incredibly daunting task. It was made much smoother by the hands-on support offered by CallTrackingMetrics, which Sami describes as “second-to-none”. The support team is always available to work with customers, especially as new features roll out – which they do constantly. After working with technology that didn’t change whatsoever over the course of a decade, the frequent availability of new features is huge for the Long® Fence and Home team. “Their quick deployment of new features makes us excited to see what they will come out with next!” said Sami.